WASHINGTON — Veterans who earned a Purple Heart during their military service will now have their veterans disability claims moved ahead of other requests, Veterans Affairs Secretary Robert Wilkie announced on Tuesday. “Those who hold the Purple Heart, the recognition of wounds taken in battle, will now receive priority consideration when it comes to claims," he told members of the House Appropriations Committee. The new policy will go into effect on April 1. The move follows existing department rules which give priority classification to Purple Heart veterans who request medical appointments at VA hospitals. Those veterans are also exempt from all co-payments for their medical care. An overhaul of the benefits appeals process is promising to cut wait times down to under a year from the current average of more than three years. But the move raised concerns among some advocates who noted that many serious wounds of war like post-traumatic stress and traumatic brain injury aren’t often recognized with the military medal. 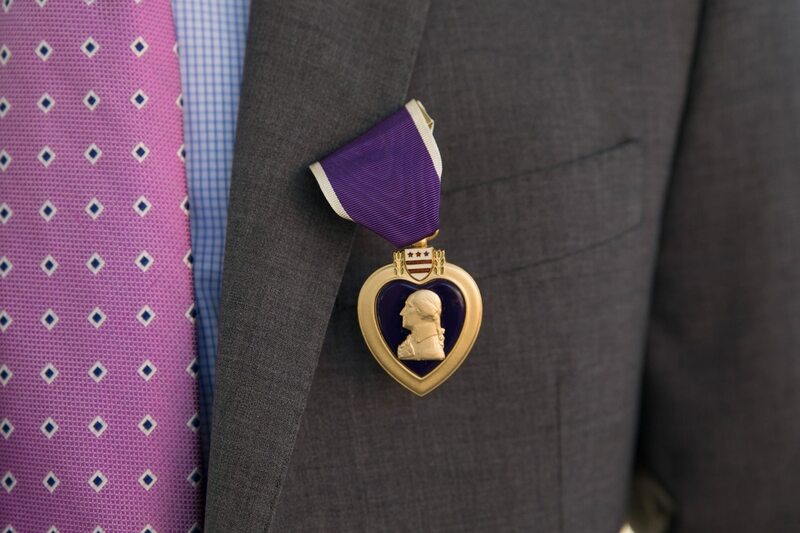 The Military Order of the Purple Heart estimates more than 35,000 Iraq War veterans and more than 22,000 Afghanistan War veterans have received the medal, one of the best known military honors in the country. It’s the oldest U.S. military decoration, first presented as the Badge of Military Merit by Gen. George Washington during the American Revolution. Just how much of an impact the benefits change will have on VA case processing is unclear. As of last week, the department’s caseload of initial benefits claims include more than 83,000 that have been pending for more than 125 days, the department’s target for rendering a decision. That figure has been largely stable for the last three years, after spiking above 600,000 in early 2013. The policy change won’t affect supplemental claims or veterans’ appeals. Wilkie, the son of a combat-wounded soldier who served in the Vietnam War, has spoken frequently in the past on the need to care for those injured veterans. He is likely to face additional questions about the policy change when he testifies before the House Veterans’ Affairs Committee on Wednesday afternoon.